Contact | Insurance For Agribusiness, LLC. Insurance For AgriBusiness, Inc was founded by Charles L. Stilwell, CLU®. 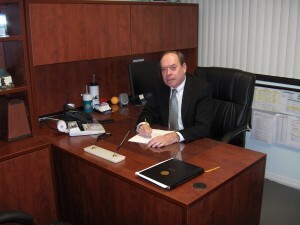 Chuck has more than 30 years’ experience in financial services, the last 15 devoted exclusively to insurance. Chuck holds the Chartered Life Underwriter® designation, the world’s most respected designation of insurance expertise. A CLU® can provide expert advice on a broad range of financial topics, including life and health insurance, financial and estate planning, and business-succession planning. Chuck also holds bachelors and masters degrees.